Lancaster, NH. 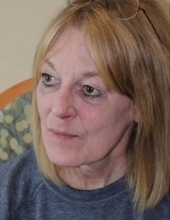 – Judith Ann (Foss) Dreyer, 69 graduated to Glory, peacefully in her sleep on March 17, 2019. Judy passed away in her Lancaster home surrounded by her loving husband and family. Laughter, Compassion and Love defined Judy’s life with laughter being so very important to her as she was losing her battle due to complications of a stroke over the last year of her life. The beloved wife to Henry (Hank) Dreyer and devoted mother to Jason Dreyer of Groveton, Brandy Samson of Groveton and Samantha Roberge of Stark, NH., was most happy when with her two granddaughters, Araya Willow and Sophie Ann-Marie. With the love and compassion that was part of who Judy is, she helped Hank raise two stepchildren, a son David Dreyer who lives in Florida with wife Jennifer and there sons Seth, Sean and Joshua, as well as a daughter, Shannon White Mountain who lives in Oklahoma and has three sons, Keith, Justin and Waya. Judy was born on April 23, 1949 at the Elliott Hospital in Manchester, NH. to Beverly (Piche) Foss and Clement Allie Foss, both of Lancaster, NH. The family moved to Bakersfield California when the family was still young. Judy married Hank in Bakersfield California on a hot summer day on August 2, 1987. At the time both worked for Pacific Telephone (the phone company) They soon moved to Pleasanton California in the San Francisco Bay area. The couple went from California to Colorado where they built a log home high in the Rocky Mountains. When Judy’s uncle Howard Piche died Judy bought his home where her mother, aunt and uncle were born and raised. Judy retired from AT&T after 30 years of service to be home with her children. While working for AT&T she had many positions from operator (the old cord boards as seen on TV) to supply management to Maintenance. Judy and Hank were very active in The Jefferson Christian Church. She loved to travel throughout the United States as well as her many vacations to Mexico, but her greatest joy was family. Judy is survived by her brothers Steve Foss and wife Paula, Bob Foss and wife Kathy, her sisters Mary Herrera and husband Jav, and Tammie Sitton and husband Jim. Judy was proceeded in death by her brothers Clem Foss and Chris Foss. In lieu of flowers, donations may be made to the Alzheimer’s Association or North Country Home Health and Hospice Agency, which have been such a blessing to us this last year. SERVICES: A celebration of Judy’s life will be held on Saturday March 30, 2019 at 11:00 AM, at The Jefferson Christian Church. 701 Presidential Hwy (Route 2) Jefferson, NH. "Email Address" would like to share the life celebration of Judith Ann Dreyer. Click on the "link" to go to share a favorite memory or leave a condolence message for the family.